Memorial Day, a United States federal holiday for remembering the brave men and women who died while serving our country, is observed each year on the last Monday of May. This year it is today, May 25, 2015. People around the nation visit cemeteries and memorials and place American flags on graves to honor those who have died in military service. 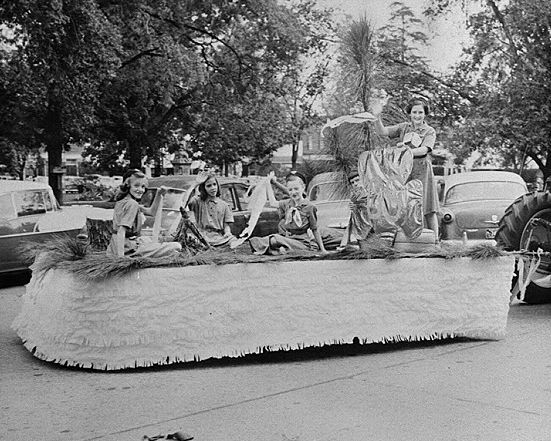 Girl Scouts have always been involved in volunteerism on and around Memorial Day. 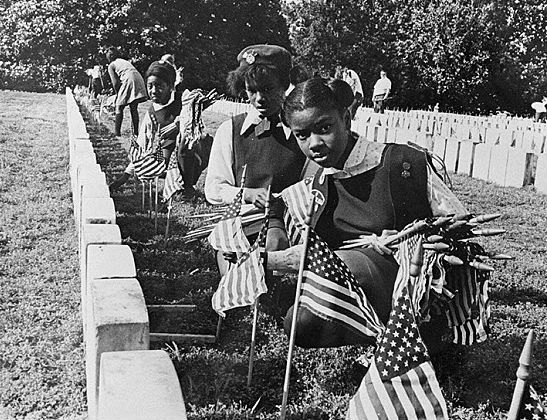 In the above picture from 1976, flags are placed on graves by Girl Scouts in Andersonville National Cemetery in Andersonville, Georgia. As well as placing flags, there are so many things you and your troop can do to celebrate and honor Memorial Day! Learn the history of Memorial Day (did you know that it was originally called Decoration Day? ), or make a wreath for your troop to place at a local war memorial. Also, make sure to participate in your community’s Memorial Day parade, waving your flags high and proudly wearing your Girl Scout uniform! Posted on May 25, 2015, in Holidays, Soldiers and tagged holidays. Bookmark the permalink. 1 Comment.